Internal documents used as part of a class action lawsuit against the social network have been published following action by Reveal from The Centre of Investigative Reporting. The 135 pages show how Facebook targeted children in order to grow its games business, denied refund requests, and encouraged developers to let children spent money without parents' permission -- something the company referred to as "friendly fraud". Dated between 2010 and 2014, a mix of internal memos, employee emails and more even show Facebook recognised the issue of kids overspending in browser games, came up with solutions, but then opted against using them. Facebook responded to Reveal's article with a statement, confirming it "voluntarily unsealed documents" following its request. "We intend to release additional documents as instructed by the court," the company said. "Facebook works with parents and experts to offer tools for families navigating Facebook and the web. As part of that work, we routinely examine our own practices, and in 2016 agreed to update our terms and provide dedicated resources for refund requests related to purchases made by minors on Facebook." The documents all centre around a rise in refund requests and complaints form parents about how much their children spent in games on Facebook. An internal study shows children "spent a whopping $3.6 million" on games between October 2010 and January 2011. One parent complained their 15-year-old spent $6,500 in two weeks. Rovio also expressed concern about the number of refund rates coming via Facebook, with one employee telling a member of Facebook refund rates of 5% to 10% "seems quite high". Facebook not only denied refund requests, it encouraged developers to offer free virtual items to children and parents who complained. One employee said this was better than refunding money because "virtual goods bear no cost." Several parents used chargebacks -- in which the credit card company steps in and reclaims the money -- in the absence of a refund. Facebook learned that more than 9% of the money earned from children was being claimed back in this way -- the average business experiences chargeback rates of 0.5%. Reveal notes this high a chargeback "far exceeded what the Federal Trade Commission has said is a red flag for deceptive business practices", with the FTC citing 2% as a concern in a previous case. Facebook's Tara Stewart attempted to reduce these chargebacks and discovered that certain games -- including PetVille, Happy Aquairum, Wild Ones, Barn Buddy and various Ninja games, such as Ninja Saga -- were attracting the most refund requests. Stewart and her team began coming up with solutions to stop children spending money without parental permission. An internal survey revealed that most parents were unaware Facebook stored their credit card information, or that children were able to charge in-game purchases to them with passwords or any other form of verification. 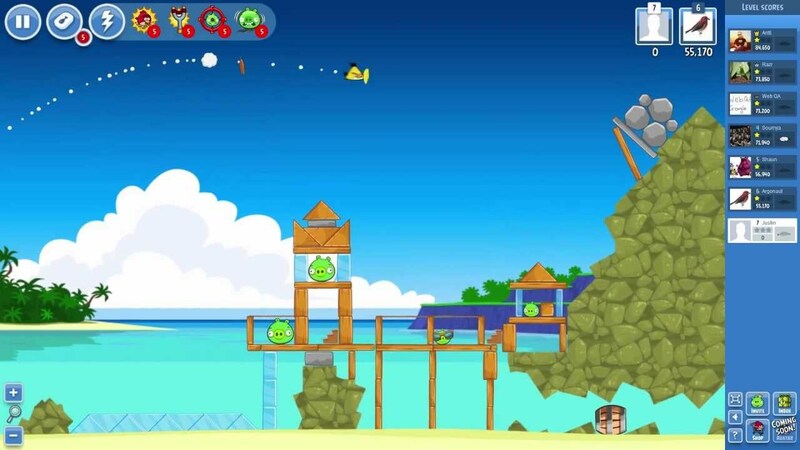 In the case of Angry Birds, this accounted for 93% of refund requests. It was also noted that many of these children were unaware they were spending real money. Stewart proposed -- and even tested -- a system in which children would have to enter the first six numbers on a credit card to approve purchases. The tests showed this did lower the number of refund and chargeback requests. However, instead of implementing this solution, Facebook decided to focus on "maximising revenue" rather thank blocking 'friendly fraud' -- in fact, an internal memo instructed employees on what 'friendly fraud' was, and "why you shouldn't try to block it." In addition to encouraging developers to offer free items instead of refunds, it also designed a program to automatically dispute chargeback requests. The aim was to see if it would win these disputes through automation, but Reveal says the documents are unclear as to whether it worked. As mentioned, all of this relates to events between 2010 and 2014. Scrutiny over the way in-game and in-app purchases increased, to the point where the Office of Fair Trading issued guidelines on such monetisation in 2014. However, with the loot box debate raging over the past year, it's a timely reminder that all games firms should be careful when monetising titles aimed at children. This article and the linked article is misleading/misinformed. "Friendly fraud" is standard business terminology for when one of your customers claims a refund for goods while retaining the goods. In this case, getting a chargeback for a credit card purchase by claiming that the credit card use was unauthorized. The "fraud" is on the customer side, not Facebook's. It's clear from the documents linked in the original article that that's the interpretation of the term Facebook employees were using. It's also clear in the linked documents that FB was attempting to lower the chargeback rate and make it harder for children to make unauthorized purchases, though not to the extent of forbidding authorized purchases. That certainly doesn't mean that FB's actions were in the clear here - I think most would agree that platform holders didn't invest enough resources in protecting customers from unauthorized purchases, and that's why purchase flows are different today - but the reporting in the Reveal article is highly misleading.